Making a lot mini pom pom wands right now. I was asked to do these (above) for an Abby Cadabby party and just love this color combo! So sweet! 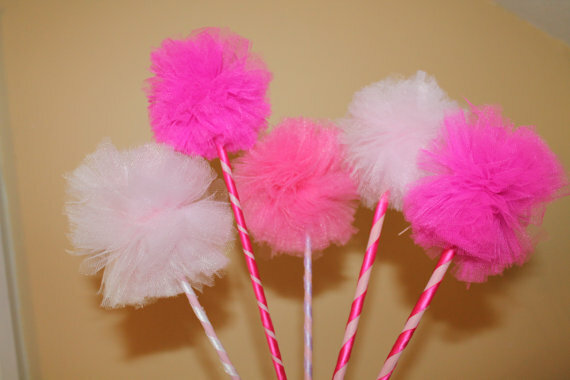 Mini poms make great centerpieces or favor wands! Boxed and ready to go! Each stick is painted and ribbon wrapped. 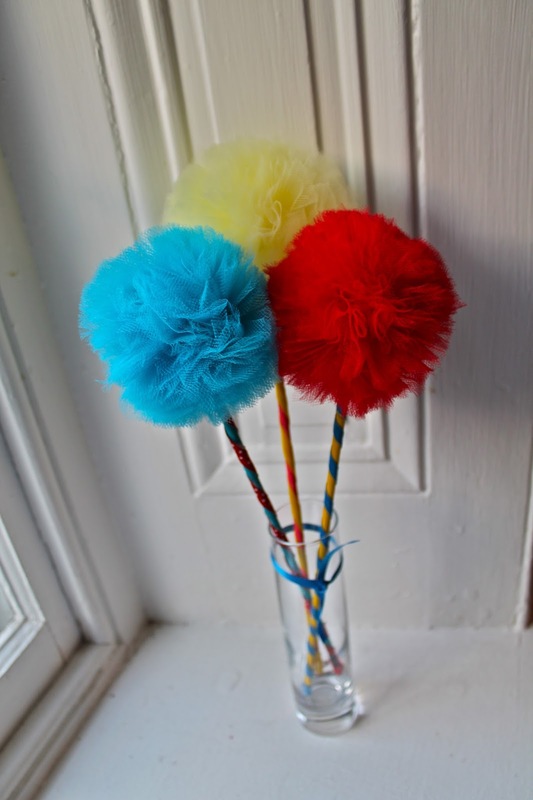 Dr. Seuss Party Poms! Also perfect for a carnival or circus theme! Made these for a sweet Elmo party. Made a centerpiece for a pink and purple polka dot spa party by putting the mini poms in a glass of gums balls. Such a cute idea the mom had. I just loved it! Full table setting from this party below. 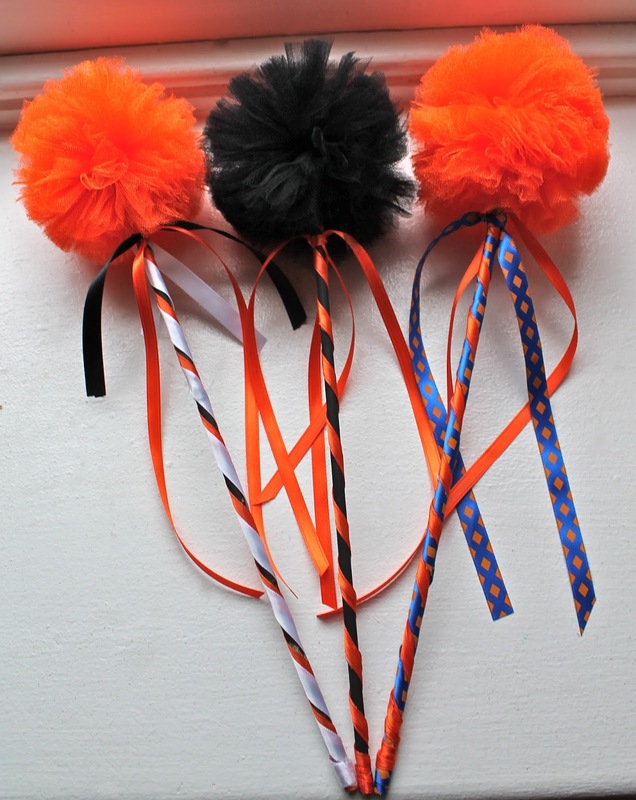 Last, but not least, some Halloween mini poms in anticipation of fall..
How will you use your poms?